Stats, facts: Freshman Perry Ellis had 11 points and 10 rebounds to become KU’s first freshman to record a double-double since Thomas Robinson (15 points, 10 rebounds) against Alcorn State in 2009. … Travis Releford’s five threes were most by a Jayhawk this year. … Tharpe’s eight assists in the first half were the most since Tyshawn Taylor had eight assists in the first half of a win over Ohio State on Dec. 10, 2011. … Tharpe is 7-of-8 from three-point land in his last three contests. … Tharpe has not had a turnover in his last four games and is boasting an assist-to-turnover ratio of 22-to-0 in that span. … Jeff Withey collected four blocks to raise his total to 59 rejections on the year and 224 for his career for fifth all-time on the KU career blocks list. … Withey has now recorded at least one block in 22 consecutive games. 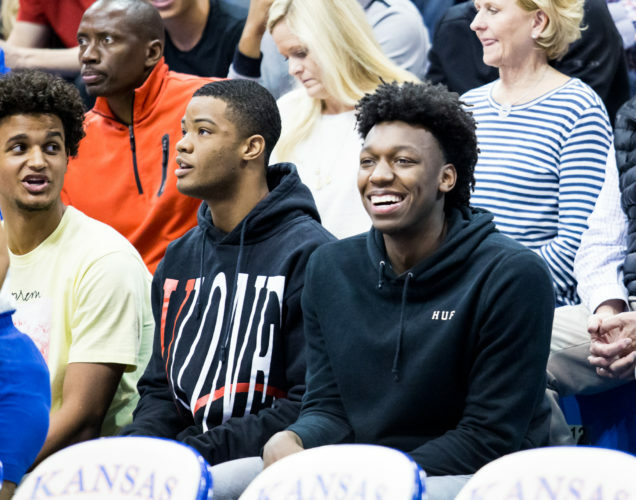 … Ellis and fellow freshman Evan Manning each hit their first three-pointers as Jayhawks. 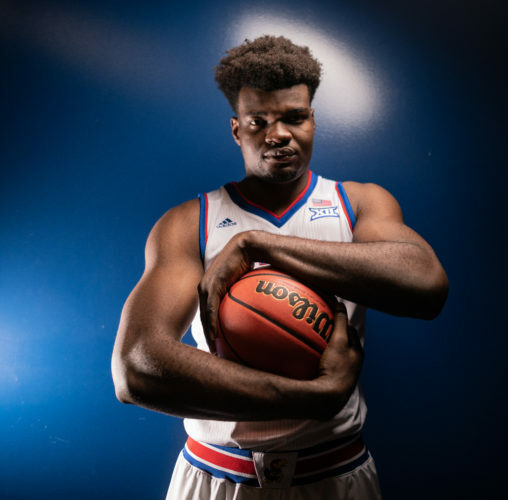 … KU is 11-1 or better for the third time in the last four seasons and the fifth time in the 10-year Bill Self era. … KU has won 10 straight games. 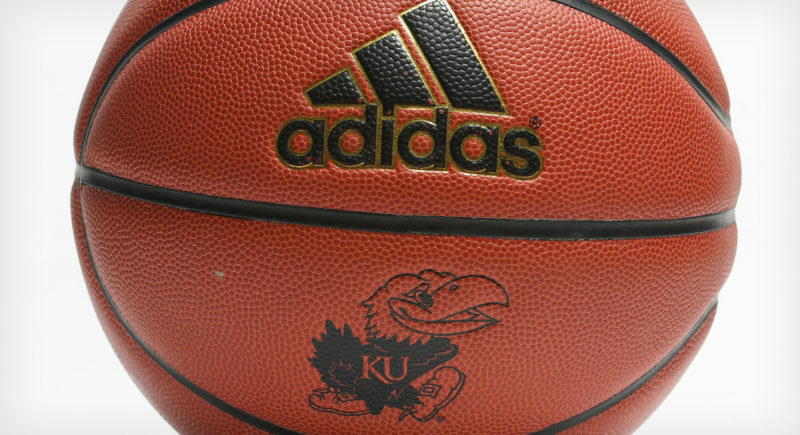 … KU has won 62 consecutive games against non-conference competition in Allen Fieldhouse. 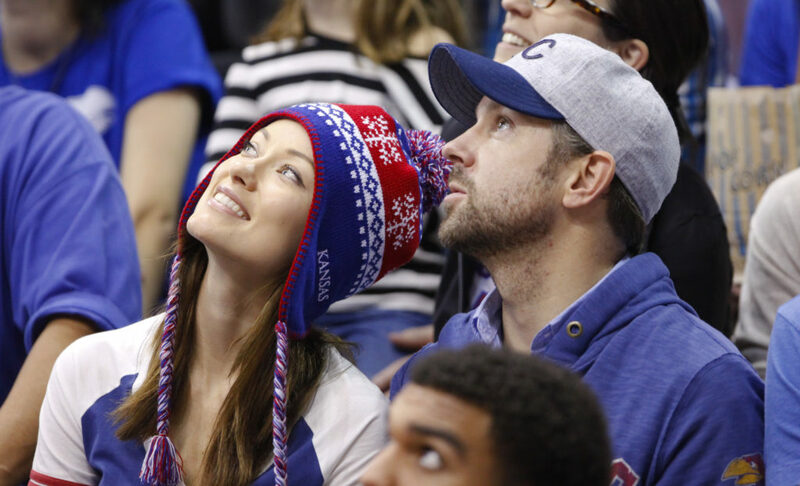 … KU is 2-0 all-time vs. American. 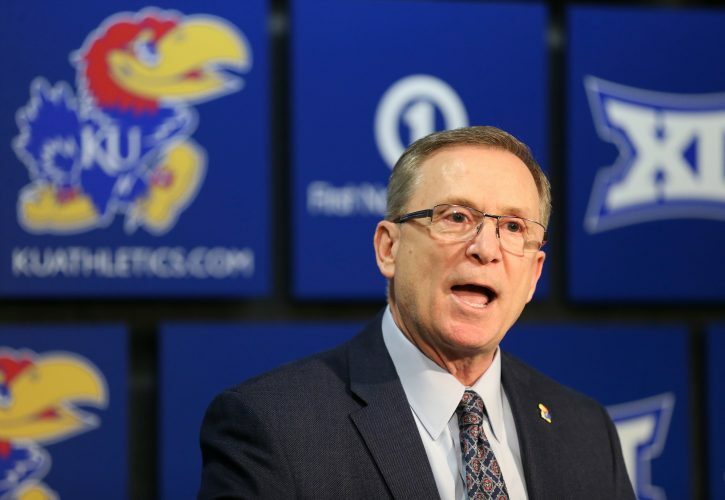 … KU has won 29 consecutive games overall in Allen, the second-longest streak in Div. I (Syracuse, 31). … Bill Self is 280-54 at KU and 487-159 overall. … KU has shot 50 percent or better for six straight games. … With the score tied at 7 at the 15:45 mark in the first half, KU went on a 16-2 run over the next 3:53. … KU is now outscoring its opponents 210-115 in the opening eight minutes of games. … KU shot a season-low eight free throws and converted on a season-low six. … The KU bench scored a season-high 32 points. 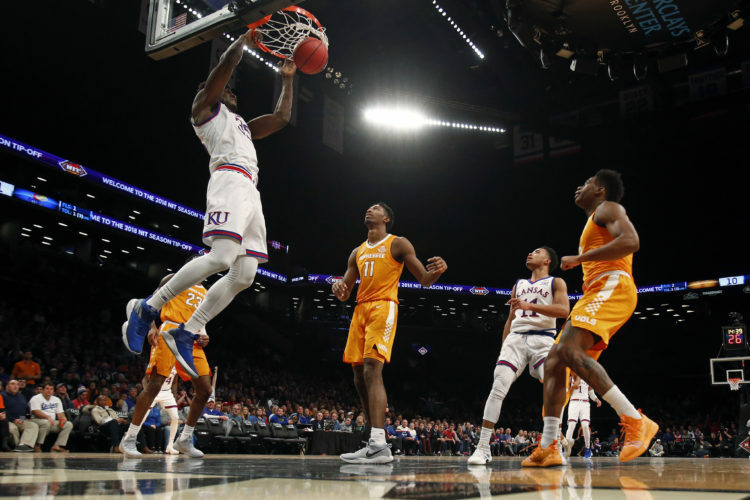 … The Jayhawks held the Eagles to 35-percent shooting, marking the fifth straight game they have held an opponent under 40 percent and the 10th contest this year.